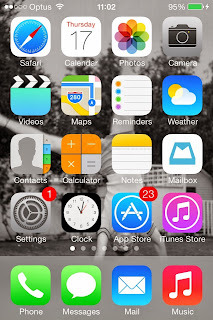 Stephanie Rhapsody: Tag: What's on My iPhone? My wallpaper is almost always a photo of Marilyn Monroe (no surprises there). 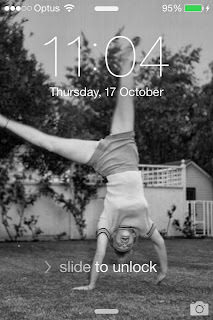 At the moment I have the same photo for both wallpapers. 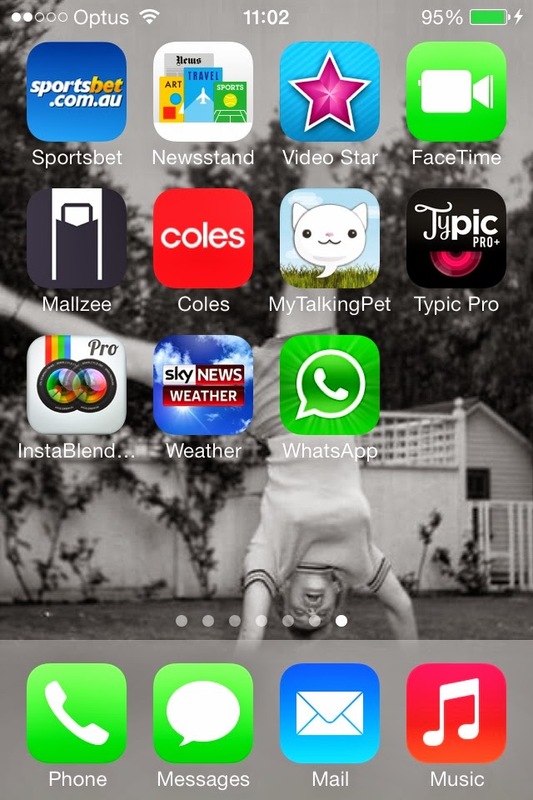 On the first page, I have mostly standard apps such as contacts and settings etc. I think the only non-standard one is the Mailbox app for gmail. 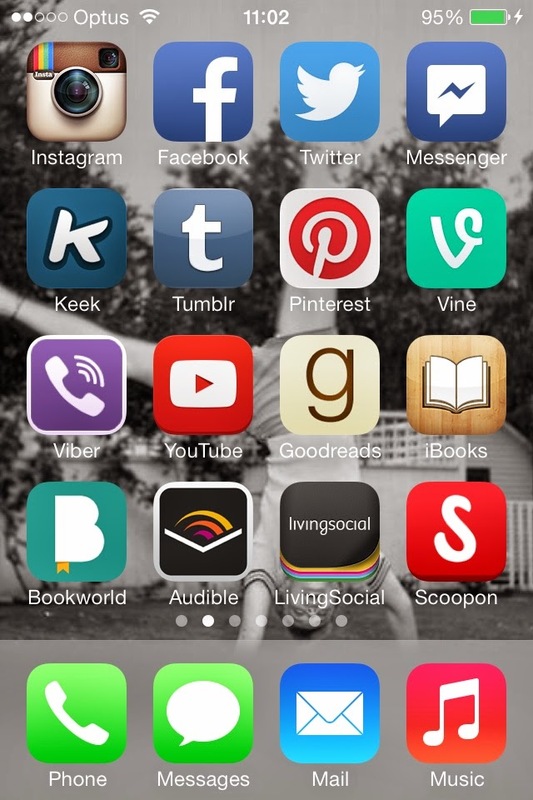 On the second page, I have most of my social media apps - Instagram, Facebook, Twitter, Messenger, Keek, Tumblr, Pinterest, Vine and YouTube. I have a few reading apps - Goodreads is a great one for sharing book reviews and ideas with friends, and finding new books to read. Then I have Viber, which I use to chat with friends for free. And LivingSocial & Scoopon are coupon and discount apps. On page three, I have Jump-in - an interactive tv guide app, IMDb and Flister for movies and tv. I have a few shopping apps - Etsy, eBay, Strawberrynet and Gumtree AU. 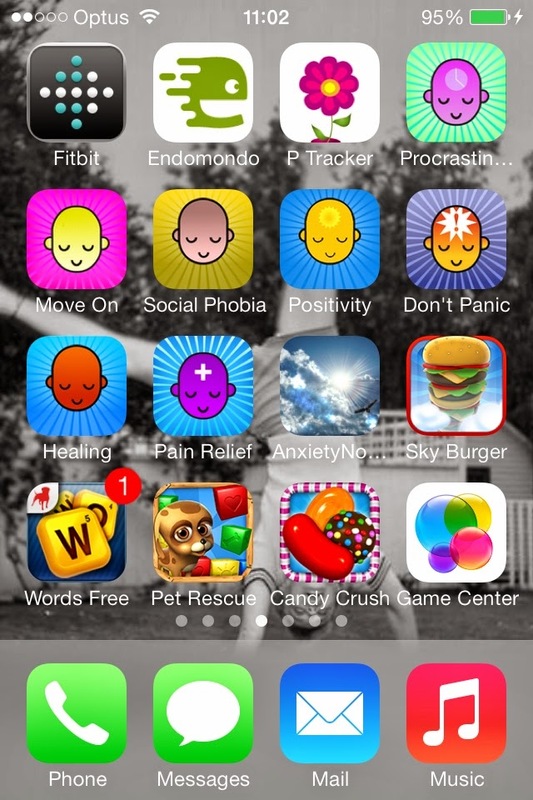 I also keep my PayPal app with these. 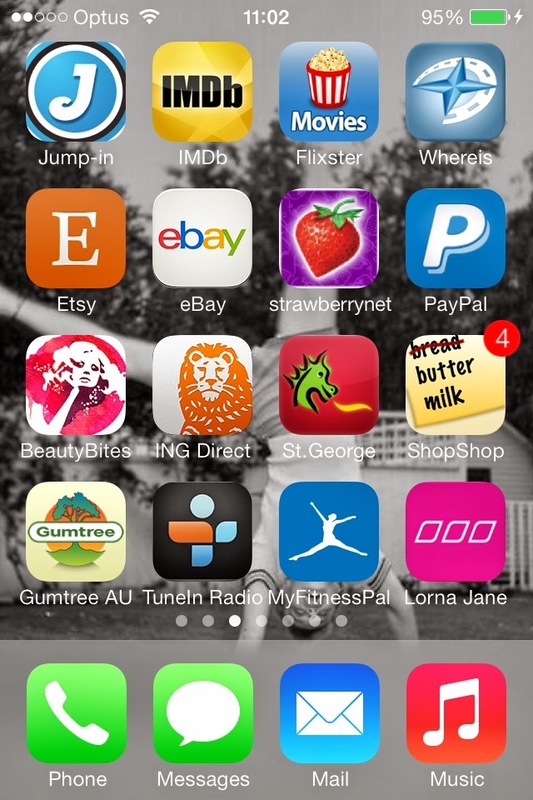 I have the BeautyBites app, my banking apps, a radio app and ShopShop, which I love - I use it to keep my shopping lists so I always have them on me. Then I have MyFitnessPal and Lorna Jane. 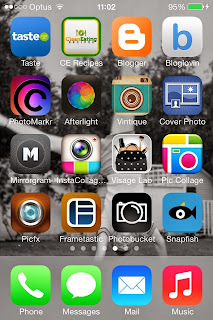 Page five is mostly photo apps - I have quite a few of these photo editing apps and I use them for Instagram, Twitter and even blogging sometimes. I also have the Taste app, which is awesome for recipes, and the Clean Eating Recipes app is also great. Then of course I have my Bloglovin and Blogger apps. On page six, I have a couple more photo apps. 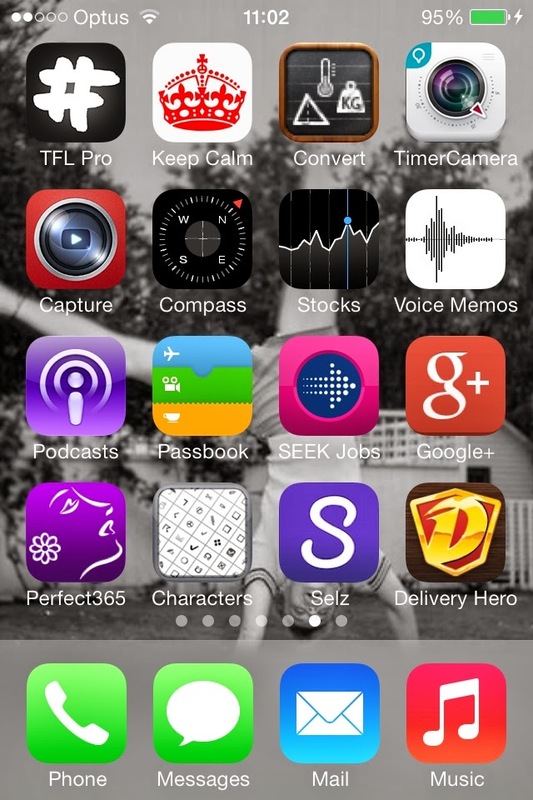 I have the TFL Pro app, which is for saving hashtags - it's great for Twitter and Instagram. 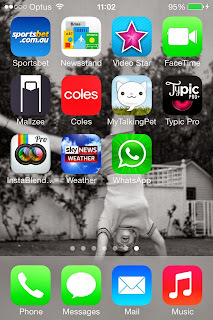 I have a few standard apps on this page, and then I just have the link to Selz (it's not an app, just a shortcut)﻿ and the Delivery Hero app - a takeaway food ordering app here in Australia. 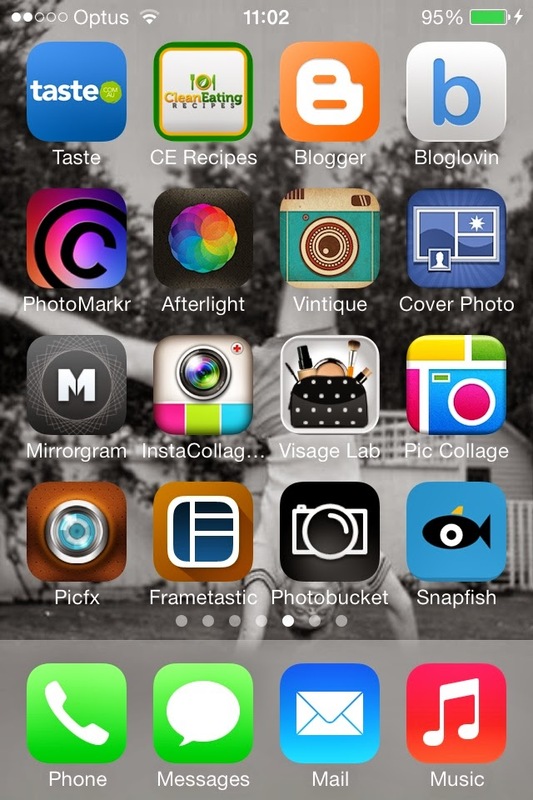 On the last page, I have yet another couple of photo editing apps. I have the My Talking Pet app, which is hilarious. It allows you to take a photo of your pet and then animate it and put a voice to it - I love this, I'm such a child! Then I have WhatsApp, a weather app and Video Star. I haven't actually tried that one out yet, but it looks like fun so I've kept it for a rainy day. Labels: iPhone, Tag, What's on My iPhone?